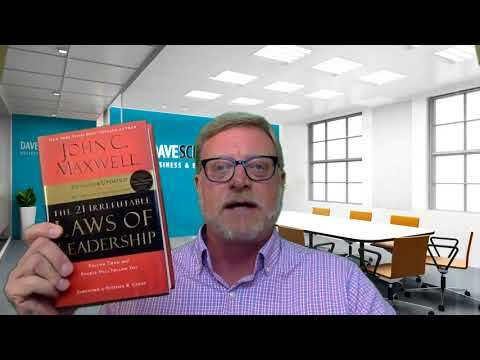 In The 21 Irrefutable Laws of Leadership, John Maxwell writes, “A leader must give up to go up.” He’s talking about the Law of Sacrifice, a law that every leader will face sooner rather than later. People who become leaders because they only desire power or wealth end up leading their companies down dangerous roads, accompanied by scandal, employee turnover, and corruption. The only way to sustain success at your organization is if you, as the leader, are willing to make personal sacrifices for the good of the company. As you rise in leadership, your responsibilities increase as your rights decrease. Think about it: can you expect your employees to work long hours, give up their vacation time, or stay focused around the holidays if you as their leader aren’t willing to do those things? There is no success without sacrifice. If you think about life’s great achievements—graduation, marriage, career—each comes with an equally enormous amount of sacrifice. Even the most successful people we can think of, such as athletes or celebrities, must put in long hours and give up the luxury of living a normal life to get where they are. Leaders are often asked to give up more than others. 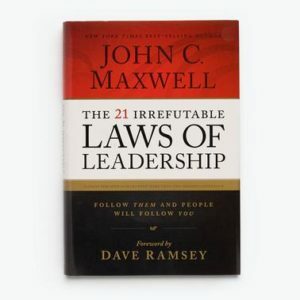 Maxwell writes, “The heart of leadership is putting others ahead of yourself.” When you have no responsibilities, you have total freedom to do whatever you want. However, the higher you climb on the leadership ladder, the more responsibilities you acquire and the more sacrifices you must make. The higher the level of leadership, the higher the sacrifice. No matter your industry or career path, increasing leadership means increasing sacrifice. You must be prepared to give up your free time, your family time, and sometimes even your salary to maintain the success of your company and its employees. The first question you need to ask yourself as a leader is this: how much are you willing to sacrifice for your company? If you’re not willing to work more than 40 hours a week, take a pay cut, or give up your vacation time, that’s fine, but you need to accept that you’re limited in how far you can advance on the leadership ladder. If you are determined to advance, make a list of the things you are NOT willing to sacrifice. This could be your health, your marriage, or time with your kids. Then make a list of what you have to give up. Can you give more of your time, energy, or other resources to boost the organization’s success? What do you have to offer? Finally, keep in mind that to be a great leader, the sacrifice never ends. Many people assume that once they get that next promotion, their routine can go back to “normal.” Being a great leader means continual sacrifice to become the best version of yourself. That’s at the heart of the Law of Sacrifice. Sacrifice is necessary if you want to grow as a leader. If you’re struggling with this concept, fill out my contact form and let’s talk about how the Law of Sacrifice will be more than worth it in the end.